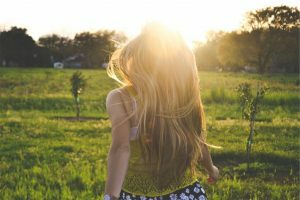 A Great Hairbrush: Why and how to choose your Rock & Ruddle? At Rock & Ruddle we were inspired to create hairbrushes that are both lovely to look at and that care beautifully for your hair. Our hairbrushes all offer natural bristles, which are renowned for caring for your hair due to the structure of the bristle being similar to our own hair. Each bristle easily glides against and through your hair detangling and conditioning your hair by spreading the natural oils from your scalp throughout your hair making it glossy, supple and healthy. We offer mixed bristles with a nylon tip in each bristle bundle which is ideal for detangling and conditioning normal to thick hair. This is our best selling bristle pad type. For those with fine hair or a sensitive scalp we offer a very gentle 100% pure natural bristle hairbrush. Finally for our youngest customers we offer a lovely very soft white natural bristle hairbrush just in our small size brush. This bristle type is ideal for baby’s first hair and up to the age of around two years. 2. 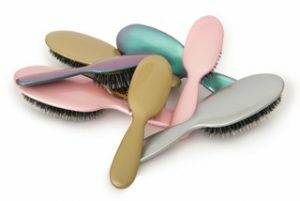 Rubber Pads: the rubber pads in our hairbrushes ensure that brushing your hair feels gentle and does not pull your hair, which could cause damage (breaking and tearing) to the individual hair strands. In addition the rubber pads ensure that the brushing action is not painful which is a feature much appreciated by many of our younger customers and their Mums and Dads too! 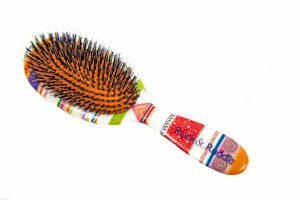 Rock & Ruddle transforms hair brushing from a task into a joy. 4. There is a choice of a small size hairbrush ideal for handbags and sports bags or a large hairbrush that is luxurious to enjoy in the comfort of your home. 5. Easy to clean. 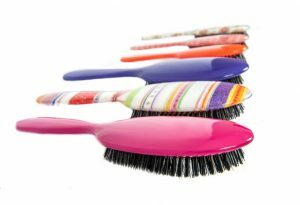 Our hairbrushes have been designed so that you can take out the rubber bristle pads in order to clean your hairbrush. Simply gently remove old hair from the brush and bristles with your Rock & Ruddle comb (coming soon!). Wash the bristles by dipping them in warm soapy water. Carefully rinse with cold water and towel dry to remove and soak up any excess water. The bristle pad may be removed for thorough cleaning, and then clicked back into the brush back. Avoid submerging the whole brush. Which could trap water behind the bristle pad and not dry out properly. Treat yourself or gift a beautiful personalised Rock & Ruddle hairbrush to a special person. 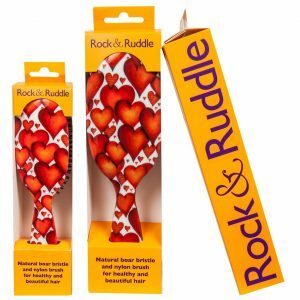 Love your Rock & Ruddle hairbrush!